I’ve been neglecting this website for a while as life’s been so full of other things. Studio 20/17 Project Space has been open in North Sydney for a few months now and The Repair Cafe is in full swing. 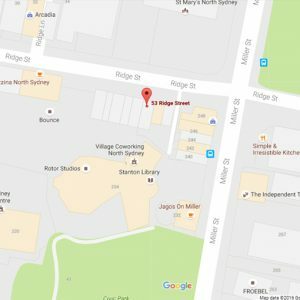 We’ve even had a couple of pop-up jewellery repair cafes in North Sydney. 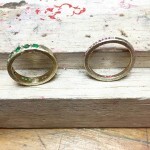 I’m now doing a little teaching at UNSWAD and enjoying more and more work remaking jewellery for people. On 31st May 6-8pm at the Australian Design Centre, I’m looking forward to speaking at an industry focused panel discussion for designers, makers and thinkers to contemplate the viability of transformative repair. Is transformative repair a response to problems of obsolescence and waste in product design? Does it have the potential to create an emergent service market for design and arts professionals? Consider these questions and many more – hosted by ABC Sydney’s Simon Marnie with Object Therapy curator and project designer, Guy Keulemans and featuring ‘Object Therapy’ designers, owners and special guests. Tantalum and gold rings by Sean O’Connell now available! 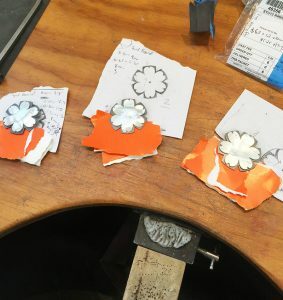 I’m a big fan of the work of Sean O’Connell so am pretty damned excited to have a series of his fabulous wedding rings at Studio 20/17 Project Space, North Sydney! Tantalum is rich, heavy, and deep grey in colour, creating simple yet distinctive rings. 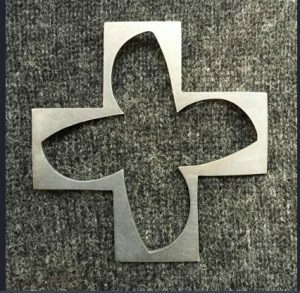 Sean makes each piece individually, using manual machine tools and hand-working wherever he can. He enjoy the process immensely, and this direct contact lends the jewellery a potency and depth that reveals the intimate handmade nature of every ring, bracelet and necklace. We’re looking forward to 20/17 – as it’s our year! It’s going to be a fabulous one. To celebrate 9 years at our current location, the festive season, and our Christmas Exhibition (which opens tomorrow afternoon), we’re offering all our very special customers a discount code to be used both online and in store. From midnight tonight, you’ll be able to use the code ‘1dayonly’ to receive 10% off any purchases for the following 24 hours. We look forward to sharing a glass of Christmas cheer with you tomorrow between 4 – 6pm. Studio 20/17 Project Space opens northside! I’ve been busting to tell you all about our new artist run project space opening on the north side of our gorgeous harbour….and now I can! From 1st January 2017, at 53 Ridge Street, North Sydney, we’ll be showcasing all of your favourite contemporary jewellery. We’ll also be working at the bench, hosting an ongoing exhibition program and holding free demonstrations on jewellery making techniques. 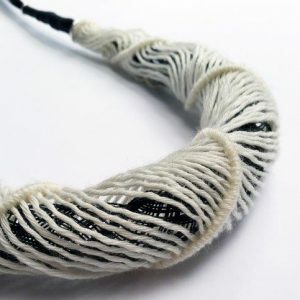 With the support of North Sydney Council, Studio 20/17 Project Space will be able to offer a fantastic subsidized exhibition opportunity for emerging and established contemporary jewellery and object artists. 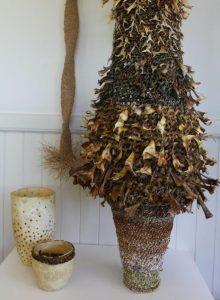 The space is available for artists to exhibit contemporary wearable and object art, including jewellery, textiles, ceramics and glass. We’re currently inviting proposals from artists and curators for our 2017 program. Applications close 31 January 2017. We only have the subsidised space for one year so get in quick! Download details, or contact Bridget for more information. Opening hours Tuesday to Saturday 11-5pm. Contact 0411 808 274. We love collaborating with other creatives. 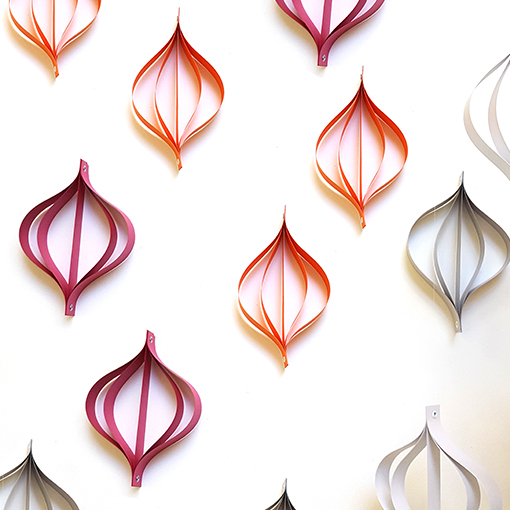 I Recently fabricated a series of brooches designed by Artist, Christopher Hodges, of Utopia Art Sydney for an exhibition at Stanley Street Gallery. 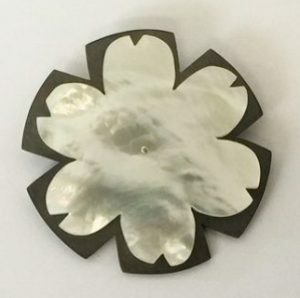 The brooches were inspired by Polynesian floral motifs and reference his larger scale sculptural work. The works were hand sawpierced from original artist drawings, ensuring that every small nuance of the artist’s hand was captured in the finished works. 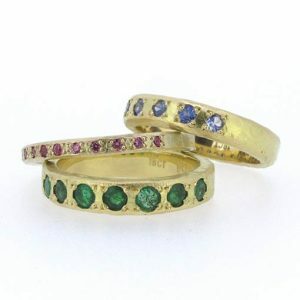 I’m enjoying making this new range of commitment rings from recycled gold.Whilst you can’t see it here, featured on the inside of each band is a row of three, small inlaid enamel dots (echoing the colour of the gemstone). A private reminder to the wearer that there are not just two individuals, but also the relationship as the third element that needs love, nurturing and commitment in any ongoing partnership – Bridget. ps. the image on the right is an inprogress shot with the final touches being applied.